Bob's Sweet Sorghum Flour $2.60/bag – Use your Gift Card! Bob’s Sweet Sorghum Flour $2.60/bag – Use your Gift Card! 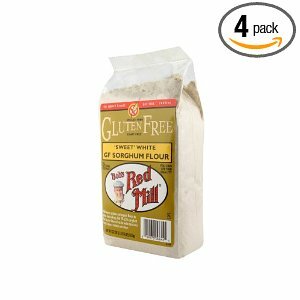 Bob’s Red Mill Gf Sweet White Sorghum Flour, 22-Ounce (Pack of 4) Reg $14.80 Now $10.40 or $2.60/bag. Use your new half priced Amazon gift card and save more!